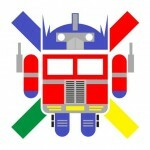 There’s a good chance the Nexus Prime won’t have it, though, and we want to know if it will deter you? With any dual-core processor stock Android runs extremely fast, but are you one of those types who want sheer power above all? Or do you just want what looks to be an insanely awesome phone no matter what’s inside? Vote below and leave further thoughts in the comments section! Those were the words passed along to the staff at Android Forums. Speaking of which, if you’d like to jump in on the growing discussion and speculation surrounding the upcoming handset, you can head over to the ultimate Nexus Prime thread by following the link below. If you haven’t had a chance to take a peek at the calendar, take a look at today’s date. It is October 11th, the day the tech world anticipated as the debut of Samsung’s Nexus Prime in conjunction with Google’s Android Ice Cream Sandwich update. But last week after the passing of Steve Jobs, Samsung and Google announced they would postpone their announcement originally scheduled to occur concurrently with this week’s CTIA events. The gist was that the announcement would be delayed out of respect for the loss of such an iconic figure in the tech world, but some are saying the cancellation of Samsung’s Unpacked event is soiled by the same patent problems that have plagued Android and its partners in recent months. Trusted industry insider Eldar Murtazin offered his take on the situation via a tweet this morning. 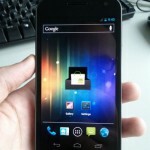 "Nexus Prime and Android 4.0 are under question. Google removing some features which are subject of patent war. No timeline for this job,” Murtazin reported. While there is no confirmation of accusations of patent infringing features found within the Ice Cream Sandwich source, the allegations put Google and Samsung in a tough position. It would be in extremely poor taste to pawn off the delay of a device announcement on the death of Jobs rather than simply admitting some elements of the software still needed work. We’re not quite sure what to make of the situation, but with word ramping up that the release of the phone is now less than a month away, we have to wonder if patent issues really were a factor. After all, Google and Samsung could have still shown off the non-infringing elements of the software at the event as scheduled and then spend time fixing issues prior to the actual device’s release, rumored for November 3rd. It is also possible that Samsung and Google are waiting for the results of an October 13th court hearing to settle current litigation with Apple dealing with Samsung’s lineup of Galaxy devices. The truth is, barring Samsung and/or Google coming clean and admitting patent issues are holding up the next Nexus, we may have to simply take their word at face value for now. 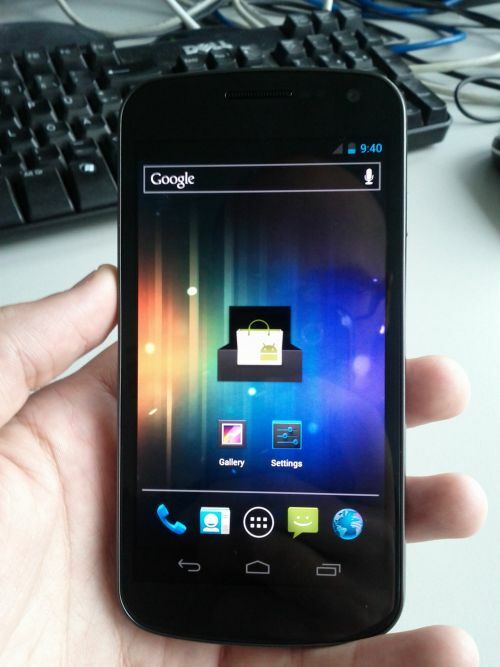 Looks like a good chunk of Googlers have the Nexus Prime in their hand. 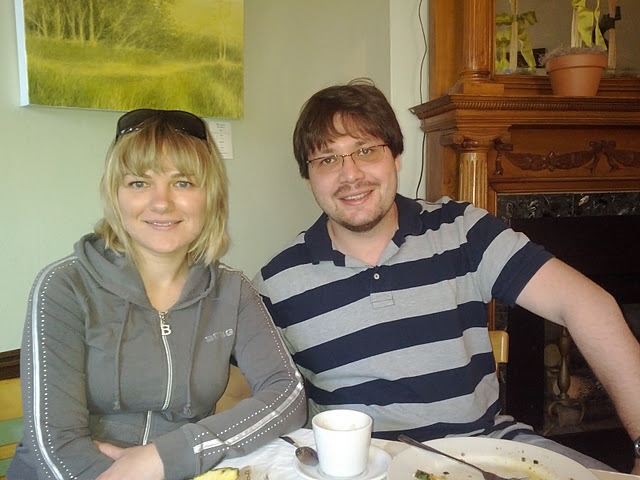 A couple of photos have been uploaded to Picasa, Google’s image hosting site, through Google+, Google’s social networking site. And you know what? It doesn’t shoot a bad picture at all. More than the photos themselves, it looks like “Galaxy Nexus” is a strong contender for the device’s retail name as it has been listed as that in the TIFF information. It’s a bit of a stray from the norm, but we really couldn’t care about the name – just give us the phone! Check the photos out here and here. 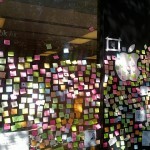 [via AndroidNext] PS: The one below is a sticky note memorial for Steve Jobs at an Apple store. We’ve got some thoughts on Verizon’s Nexus Prime from a trustworthy insider (we’ve been able to confirm their legitimacy, though we can’t disclose through which means) via AndroidForums.com. Our friend and esteemed moderator Steven58 was the one who interfaced with them and this is what they had to say regarding the Nexus Prime (there is also a bit of commentary in there regarding the Moto DROID RAZR). 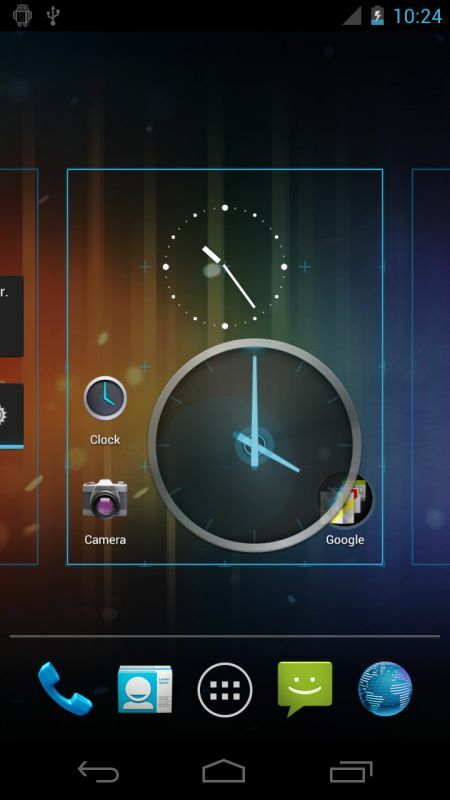 The idea I’m getting from official testers is that the screen and user experience is much better in the Nexus device, and the overall advantage is the presence of Ice Cream Sandwich (I’ve personally noted this to be true). But I’ve also been told by those who have tested it that the RAZR is very fast, smooth, and has a great battery life. The screen, although not quite up to Nexus, is a big improvement over the Bionic for those who didn’t like it. Verizon is very, very excited for both devices. I don’t get the feeling they’re “siding” with one over the other, but I can tell you that they never had a lot of confidence in the Bionic having a lot of staying power. Their decision to release the Bionic as is was more of a contractual obligation than a real belief in the product. They are much more invested in the RAZR. [Update]: Looks like our source worded it wrong. November 3rd is actually pegged as the Prime’s release date, meaning we should be seeing an announcement much sooner than that. Huzzah! Today we were greeted with a rather surprising tip in our inbox. An anonymous source forwarded a snapshot of a slide supposedly shown as part of an internal presentation on smartphone evolution to carrier and retail representatives. The slide in particular detailed the progression of Samsung’s Galaxy S line, culminating in an image of and some initial specs for the manufacturer’s next flagship device. According to the image, the Galaxy S III will feature a dual-core 1.8GHz Exynos 4212 processor (no quad-core just yet), 2GB of RAM, a 12MP camera, and a 4.6-inch Super AMOLED Plus HD display. That screen technology would provide HD resolution without falling back on the PenTile technology found in Samsung’s current generation of HD displays. Our source noted that these particular displays are not fully baked at this point in time. 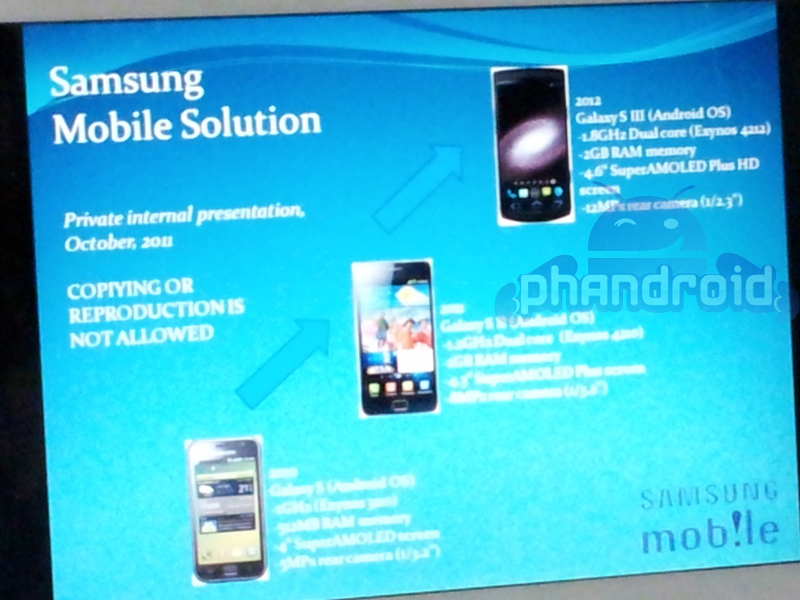 The camera would deploy the W750 BSI CMOS sensor and the phone will feature LTE and NFC support. Unlike the upcoming Nexus Prime the Galaxy S III will not use a curved display and the design language of the phone will apparently differ from the current Galaxy S lineup to avoid future legal issues. The GS3 is said to be even thinner than the GS2. 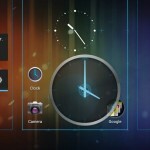 While the handset will run on the upcoming Android Ice Cream Sandwich build, it will reportedly retain four physical buttons. It should be noted that this information is unconfirmed at this time, and we would be remiss to not point out a few obvious flaws in the actual image. 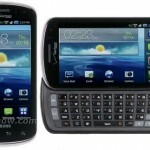 The original Galaxy S is listed as shipping with an Exynos CPU and other typos can be found. Could this be a clever fake? It’s definitely possible. Take it with a grain of salt but the details seem pretty spot on in most respects. 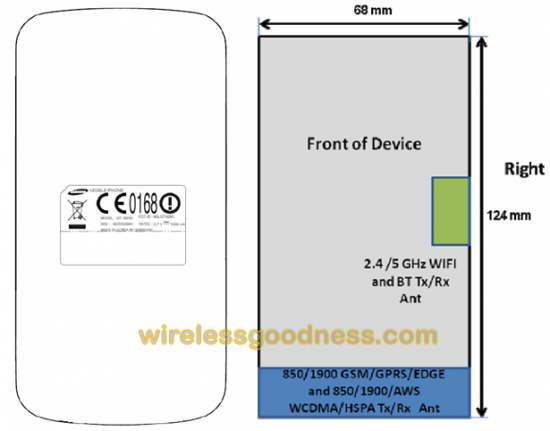 Samsung Nexus Prime (GT-I9250) Passes Through FCC With AT&T/World AND T-Mobile Bands? 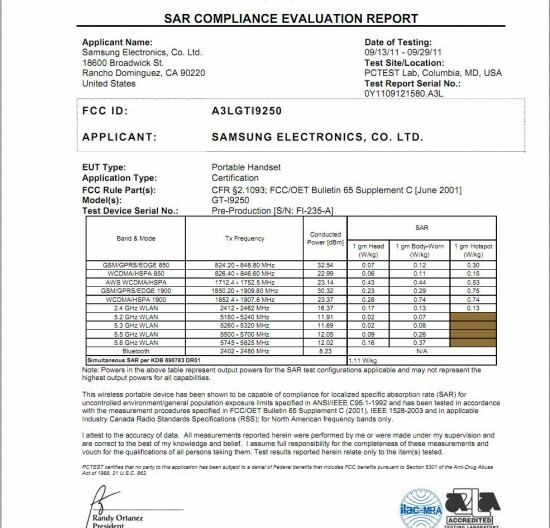 As if things couldn’t get anymore confusing surrounding the impending Nexus Prime launch, the Samsung GT-I9250 has just passed through the FCC today adding a little more fuel to the “pair of Primes” debate. As you can see from the above picture, this GSM version — I9250 — is supporting AT&T/world bands and possibly T-Mobile’s as well. The filing listed T-Mobile’s 1700MHz frequency but oddly left out the 2100MHz part. 1 out of 2 ain’t bad, so that means there’s still hope! So why is this new info so confusing? Well, according to BGR, there will only be ONE Nexus device from Samsung dubbed the “Droid Prime” (SCH-I515) and that device is rumored to be a Verizon exclusive. Couple that information with talk of 2 different sites posting “exclusives” on 2 different spec sheets and — well, we’re just all mixed up at this point. 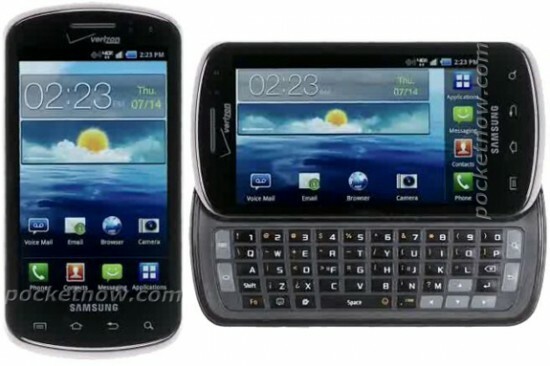 There very well could be a Droid branded-Ice Cream Sandwich-Samsung device exclusively for Verizon, followed up by a worldwide release of a GSM version (Galaxy Nexus). Let’s hope all is revealed at some point during CTIA next week. I need a Tylenol. 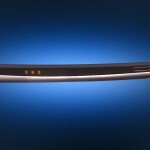 Verizon’s 4G LTE lineup will welcome a new member next week, according to new details leaked to DroidLife. 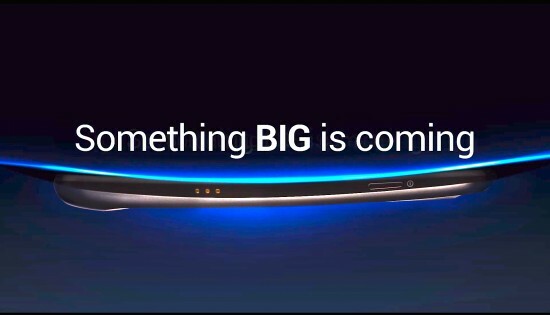 The Samsung Stratosphere which has been detailed time and time again and dropped a system dump earlier this week, is now rumored to be coming to Verizon October 13th. The date comes along with a full spec sheet, which further confirms the phones position as a mid-range QWERTY slider comparable to last year’s Epic 4G on Sprint. It’s not quite the Droid Bionic or the upcoming Nexus Prime but it should provide a lower-priced 4G option to Verizon customers. So we no longer have a date or a venue. No longer have a timeline as to when we’ll see these things officially unveiled. We expected the stuff to be out in October, and while there’s room yet for that to happen we’re not sure if they’ll reschedule in the same month. All we know is that this is extremely disappointing. We were looking forward to bringing you guys great coverage on the new stuff from CTIA and it looks like we’ll have to stick with stuff on the show floor. I hope all these recent leaks aren’t to blame for Samsung and Google’s decision. We’ll be trying to find out more in the meantime. 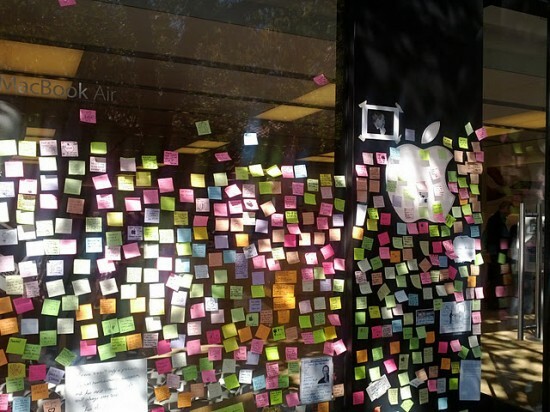 [Update]: Looks like the delay could be out of respect to Steve Jobs’ passing. Understandable in that regard and makes a lot of sense as to why they felt this wasn’t the right time. We’re still waiting to hear more from Samsung or Google. 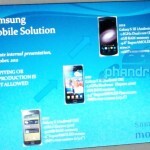 [Update 2]: I should note that this does not necessarily mean the actual launch of Ice Cream Sandwich and the Nexus Prime are delayed, just the announcement.